The Ceratopsia (meaning "horned faces") are an infraorder of herbivorous (plant-eating) dinosaurs, that were characterized by having beaks. Early members of this infraorder, such as Psittacosaurus, were bipedal (walking on two legs). Later Ceratopsians tended to be much larger and quadrupedal (walking on four legs), often had elaborate neck frills and facial horns, and included dinosaurs such as Triceratops and Styracosaurus. Ceratopsians first appeared during the late Jurassic period and survived until the end of the Cretaceous period. At the end of the Cretaceous. about 65 million years ago, the last Ceratopsians, along with all the other remaining non-avian dinosaurs, died out during a mass extinction. The Ceratopsia infraorder, together with the infraorders of Pachycephalosauria ("thick-headed lizards") and Ornithopoda ("bird feet"), form the the suborder Cerapoda of the Ornithischian dinosaurs. Ceratopsians are sometimes grouped together with Pachycephalosaurs as the Marginocephalia ("fringed heads"), since the these two infraorders share some common features and appear to be related. The skull of Ceratopsians is the most common part of the animal to be preserved as a fossil (in contrast to other dinosaurs, where the skulls are often not found). Indeed, a number of species of Ceratopsians are known only from their skulls. Provides information about the origins, range, anatomy, physiology, reproduction, food, defenses, and extinction of triceratops and the other dinosaurs with formidable horns known as ceratopsians. Easily distinguished by the horns and frills on their skulls, ceratopsians were one of the most successful of all dinosaurs. This volume presents a broad range of cutting-edge research on the functional biology, behavior, systematics, paleoecology, and paleogeography of the horned dinosaurs, and includes descriptions of newly identified species. Written by Nathanial E J Hogan Age 8, "Dinosaurs!!! Kid's Book About Triceratops Horridus and Other Ceratopsians from the Cretaceous Period. The facts are presented in easy to read 'bite-sized' sections accompanied by a picture to help children not only learn about Triceratops and other Ceratopsians but to also enjoy reading about these famous dinosaurs. A perfect way for kids of all ages to learn. "...Triceratops.." is also great for parents to read to children who are not yet ready to read for themselves. This gives parents a great opportunity to discuss their children's favourite subject with them and to explain things further. Geschrieben von Nathanial EJ Hogan Alter 8, "Dinosaurier! Kid Buch über Triceratops Horridus und andere Ceratopsians aus der Kreidezeit. Ehrfürchtig Facts & Bilder für Kinder über Dinosaurier "ist eine wunderbare Sachbücher ebook mit vielen bunten Bildern, die gut aussehen auf Kindles, iPads, Handys und viele andere Tablet-Stil tragbaren Geräten. Die Fakten sind in leicht präsentiert "mundgerechte" Abschnitte durch ein Bild, um die Kinder nicht nur über Triceratops und andere Ceratopsians lernen, aber auch viel Spaß beim Lesen über diesen berühmten Dinosaurier begleitet lesen. Eine perfekte Möglichkeit für Kinder aller Altersstufen zu lernen. "... Triceratops .." ist auch ideal für Eltern, Kinder, die noch nicht bereit sind, für sich selbst zu lesen zu lesen. Dies gibt Eltern eine gute Gelegenheit, um ihre Kinder Lieblingsthema mit ihnen zu diskutieren und die Dinge weiter zu erklären. Dinosaurier waren schon immer die Phantasie der Kinder und welchen besseren Weg, um Ihre Kinder Interesse an Dinosauriern als mit diesem einfachen Start zu leiten mit Dinosaurier Bilder lesen stimuliert. Sie werden mit Freude brüllend werden! Escrito por Nathanial EJ Hogan Edad 8 ", los dinosaurios! Kid libro sobre Horridus Triceratops y otros ceratopsians del período cretáceo. Datos impresionantes y cuadros para niños sobre los dinosaurios "es un ebook asombroso de no ficción con muchas fotos coloridas que parecen grandes en Kindles, iPads, teléfonos móviles y otros dispositivos portátiles de tipo tableta. 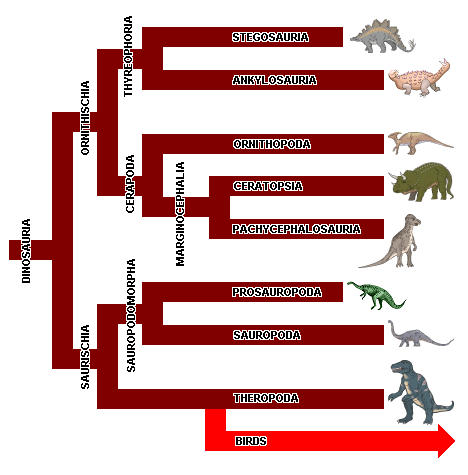 Los hechos se presentan en formatos fáciles de leer las secciones "tamaño de un bocado" acompañado de una imagen para ayudar a los niños no sólo aprenden acerca de Triceratops y otros ceratopsians pero también para disfrutar de la lectura de estos dinosaurios famosos. Una manera perfecta para que los niños de todas las edades a aprender. "... Triceratops .." También es ideal para los padres a leer a los niños que aún no están listos para leer por sí mismos. Esto le da a los padres una gran oportunidad para discutir tema favorito de sus hijos con ellos y explicar las cosas aún más. Los dinosaurios siempre han estimulado la imaginación de los niños y que mejor manera de empezar el interés de sus hijos en los dinosaurios que con esta guía fácil de leer con imágenes de dinosaurios. Van a estar rugiendo de alegría!